Really nice and new room with everything that is needed from a weekend to some months' stay. The windows from the Studio. They use a Velux system with wireless remote control. Battery almost ending and coulndn't be charged. Also the blackout started opening and closing with no reason... Who knows why! the auto-check in is great! And it’s clear, not all apartment could do that neat like this! I like this loft! Good value for the money. Good security at the apartment. Fully functional apartment. Loved it. My room was like a room in the attic with slanting windows. Its cute!! Great location, very comfortable and extremely clean! Very clean and comfy apartment. It's located not far from the subway and near the marketplace. There's a supermarket next door. Great view. Separate toilet from the bathroom. Awesome rain shower. Lock in a great price for Studio Apartment Naschmarkt I – rated 9 by recent guests! One of our best sellers in Vienna! Located in the 05. 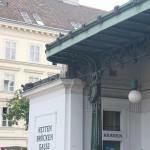 Margareten district of Vienna, just a 14-minute walk from Haus des Meeres, Studio Apartment Naschmarkt I provides air conditioning and free WiFi. This property is one mile from Vienna State Opera. The apartment features 1 bedroom, a flat-screen TV and a fully equipped kitchen that provides guests with a dishwasher. There's a bathroom with a hair dryer. Musikverein is 1.3 miles from the apartment. Schwechat Airport is 13 miles from the property. 05. 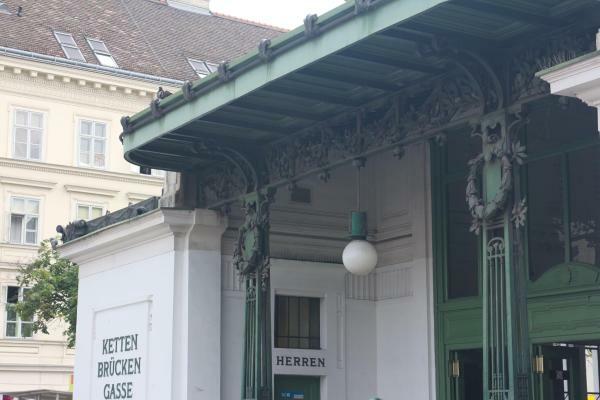 Margareten is a great choice for travelers interested in convenient public transportation, city walks and art. When would you like to stay at Studio Apartment Naschmarkt I? House Rules Studio Apartment Naschmarkt I takes special requests – add in the next step! Studio Apartment Naschmarkt I accepts these cards and reserves the right to temporarily hold an amount prior to arrival. Cleaning is definitely something they have to improve. Maybe Apartment was closed a few days ago but we could see dust everywhere. But the main problem was before last night, when we entered the apartment around 17PM there where 4 people inside the bathroom. They removed the shower, touched our personal belongings and put them away, they didn't speak english and even the owner didn't contact us!!! That was unbelievable! We couldn’t use the new shower for that night and the owner didn’t care at all! No solution for relocation. We tried to call the number for 10 times with no answer. Until now we have just received an e-mail from them. Really bad service. We were very disappointed with this and the treatment they have. The elevator was temporarily out of service for during the first couple of days of the stay.